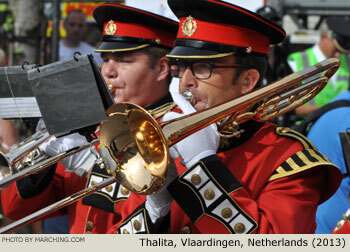 Top showbands, drum corps and marching bands are invited to perform among the creative flower-covered floats in the Zundert Flower Parade (Bloemencorso Zundert). 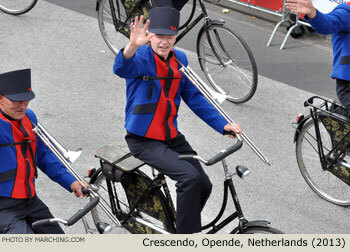 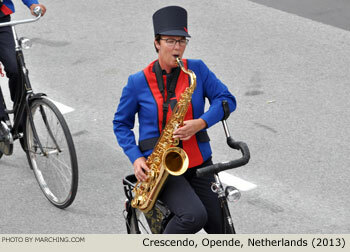 This year's parade also featured a band that played while riding bicycles. 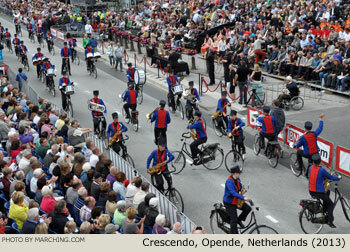 The coveted "People's Choice" prize for 2013 was presented to Pasveerkorps from Leeuwarden, Netherlands. 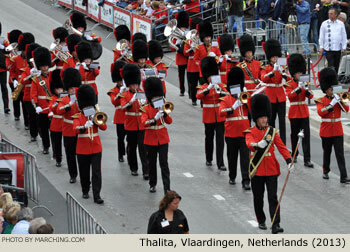 All nine marching (and riding!) 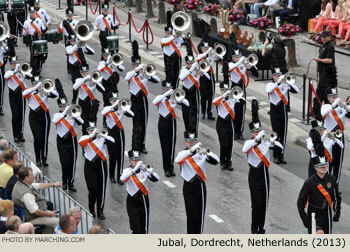 units from the 2013 Zundert Flower Parade are pictured here in order of appearance. 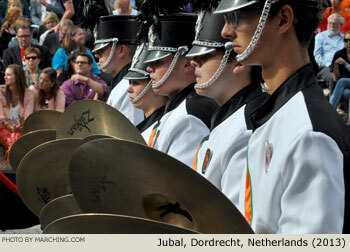 Also view Bloemencorso Zundert float photos. 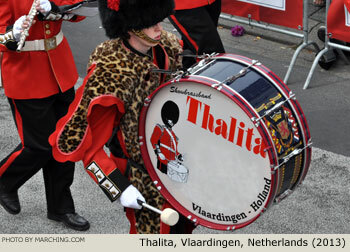 For more information visit BloemencorsoZundert.nl or the Netherlands marching links on Marching.com.